The race with the slogan “Running For Our Health” will happen next September 30th at the Samba Vallarta hotel at the Condominio Flamingos; registration will be with a non-perishable food item for the needy. 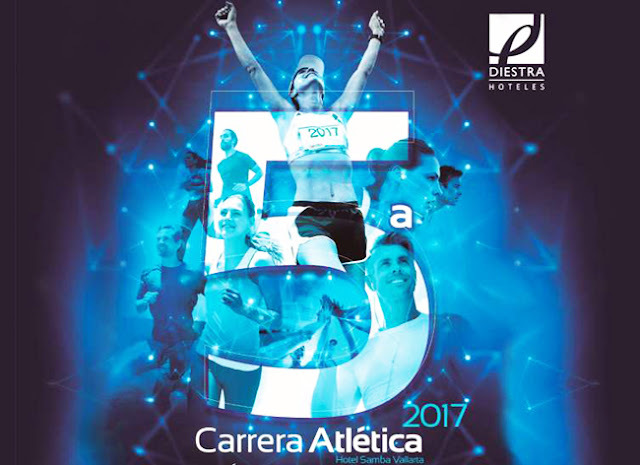 The 5th Flamingos 3-7K Race by Grupo Diestra is ready to go next September 30,2017, in order to promote healthy living with those who work with the hotel sector as well as help broadcast a positive message about sports within the community. This time the event will extend help to those in need, as they are asking participants to register for free with a donation of a non-perishable food item that will be sent to the region’s most needy, according to Aldo Hernández Ojeda, Human Resources Manager for Grupo Diestra. According to Hernández, the race came about as a cultural activity for the wellbeing of those who work for the company, but thanks to the success it’s had since its first year they decided to make it an open invitation. The 5th Flamingos 3-7k Race will take place within the Condominio Maestro Flamingos development in the Riviera Nayarit. The starter pistol goes off at 8 a.m., though registration packets, a briefing and warm-up exercises start by 7 a.m.
As happens every year, the race consists of a mixed 3km walk for hotel workers and the general public and a 7 km race divided into four categories: Women Workers’, Open Women’s, Men Workers’ and Open Men’s categories. After the race participants can enjoy a free breakfast to be followed an awards ceremony. The first three places in all categories, men’s and women’s, will receive a prize. A participation medal will be awarded to the first places and a printed recognition will go to the first three places in each category. Registrations continue through race day.